You can watch Lauryn DeLuca fence at the 2016 Rio Paralympic on Tuesday, 9/13/2016 at 8am EDT. Live Stream! Go Lauryn! Go USA! 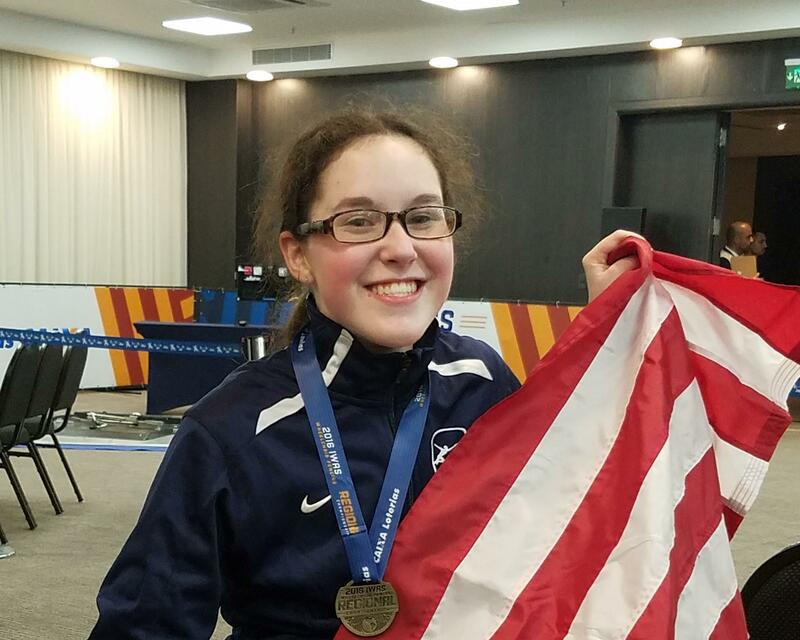 Parma teenager Lauryn DeLuca, a competitor in the sport of wheelchair fencing, clinched her spot at the 2016 Paralympic Games by taking home the gold this week at the Pan American Wheelchair Championships in Sao Paulo, Brazil. DeLuca, 16, is already a three-time national champion in Women’s Wheelchair Fencing, and will be happy to add an international medal to her collection. This result will see her join the field of Paralympic competitors this September in Rio de Janeiro, Brazil. DeLuca defeated her USA teammate Vikki Espinosa (Portland, Ore.) in the finals of the Pan American Championships by a score of 15-9, making her the only female fencer from the US to qualify for these Paralympics. In fact, DeLuca was undefeated on the day, earning the top spot in the first round of the competition before winning her way through to the finals. Lauryn began her fencing career as an able-bodied fencer dealing with the unique challenges of cerebral palsy, before transitioning to wheelchair fencing after being scouted by the US national wheelchair coach at a local event. In addition to representing the USA at the Paralympics, DeLuca represents North Royalton fencing club Hooked on Fencing, where she trains for competition and has fenced since 2009.